Safari Sun had an old website that was showing its age and wasn’t making the most of the fabulous photos they’ve got. It used static HTML files so it was hard to keep updated and it was designed to a fixed size, which meant that visitors on smartphones and tablets had to zoom in and pan around to read the content. So we worked with them to bring it up to date, using a modern responsive design that adapts automatically to provide an optimised reading experience for visitors on all devices. We made the photos bigger to showcase the stunning places that Safari Sun travel to and we enhanced the country listing pages to include interactive Google maps and lots of useful information for visitors. We also built a system that updates the exchange rate for the currencies automatically so that the information stays relevant. 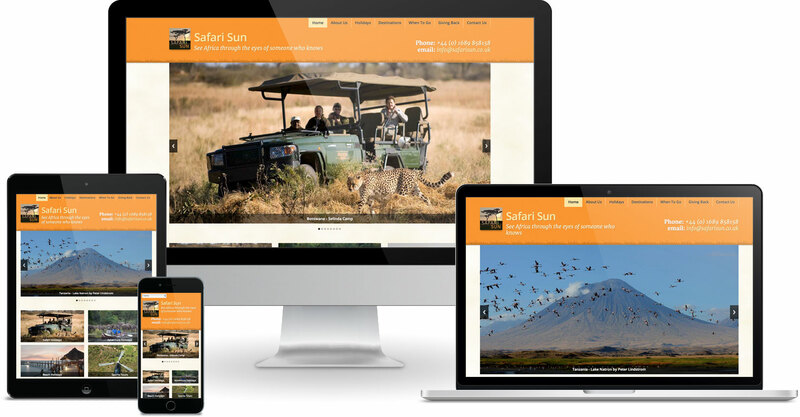 Following a marketing and content audit of the site by Imogen Mergler at Smallfish Marketing, one of our trusted partners, we recently redesigned the Safari Sun site and moved it to Craft. The new site features cleaner and simpler navigation and improved content, which results in a better and more useful experience for visitors. We have also made use of Craft’s powerful and flexible content tools to enable rich and varied content on each page that is both much more flexible and easier to maintain than before. Coupled with Craft’s excellent live preview feature, it makes for a much experience for the client when they are managing the site.